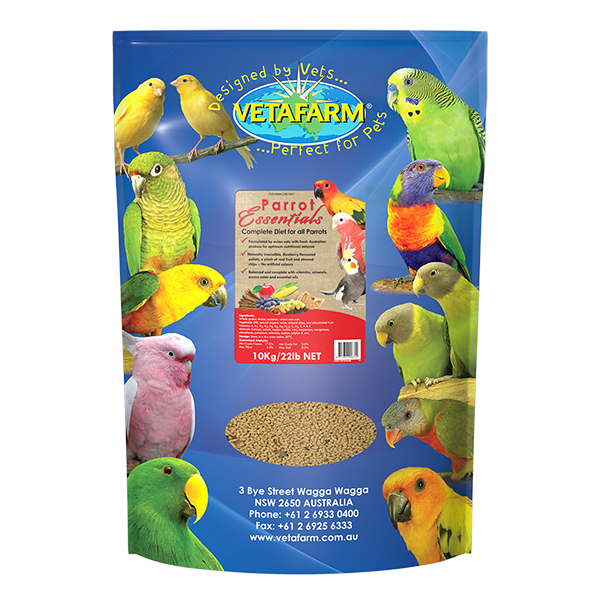 Vetafarm pellets are veterinary formulated to provide complete nutrition and balance in the diet, however, they often offer little variety to the diet. 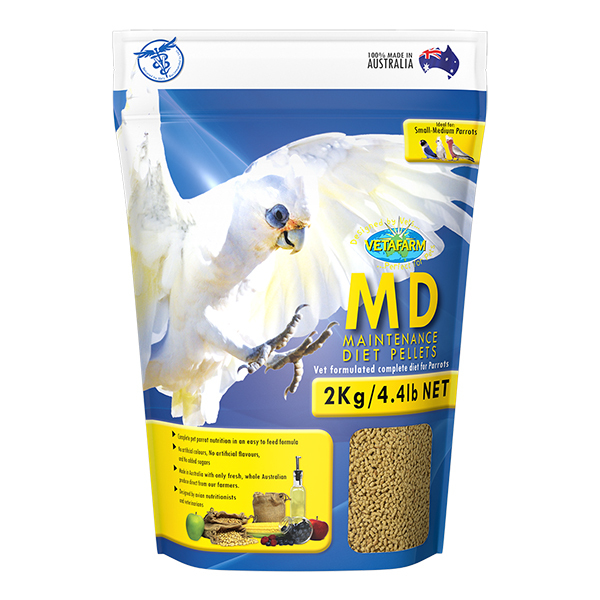 Parrot Essentials covers both these crucial areas by supplying the balance needed for optimum health, while also offering variety into the daily diet with the inclusion of quality first grade fruit harvested from the Mildura riverlands and a pinch of almond pieces from northwest Victoria. Variety, balance and absolutely irresistible flavours all in one – without the use of added colours! 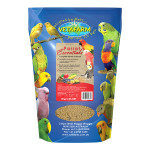 All parrots, particularly pet birds. 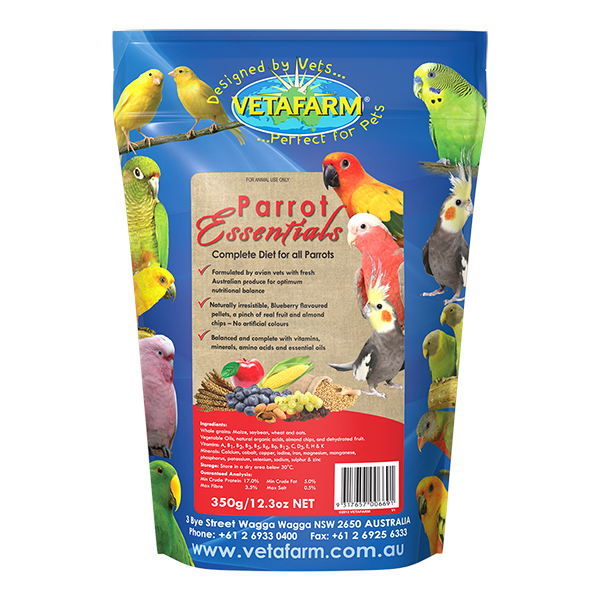 Parrot Essentials is a complete diet; no additional dietary supplementation is necessary. 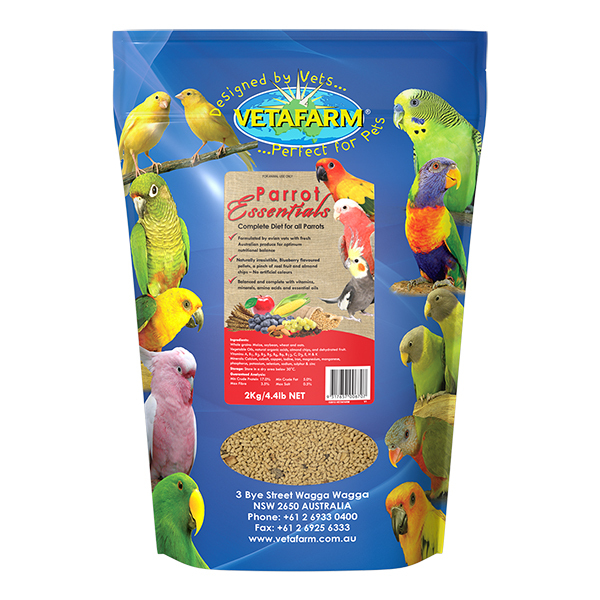 If using Parrot Essentials for exotic breeding pairs, an additional calcium source such as D Nutrical is a welcome addition. Fruits and vegetables should be given as behavioural enrichment. 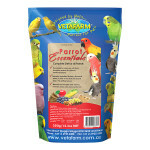 Parrot Essentials is a complete diet; no additional dietary supplementation is necessary. 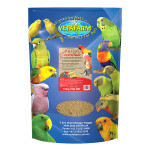 If using Parrot Essentials for exotic breeding pairs, additional calcium source such as D Nutrical is a welcome addition. Fruits and vegetables should be given as behavioural enrichment. 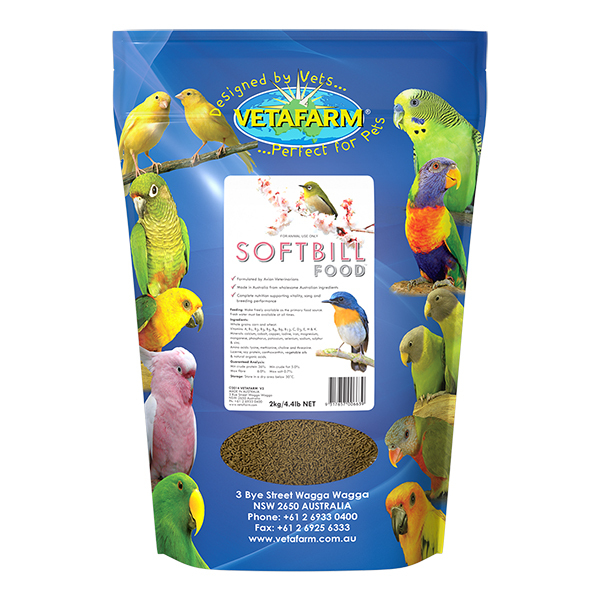 Feed Parrot Essentials in a clean, dry dish placed away from potential contaminants such as droppings, water and cage substrate. Whole grains: Maize, soybean, wheat and oats. 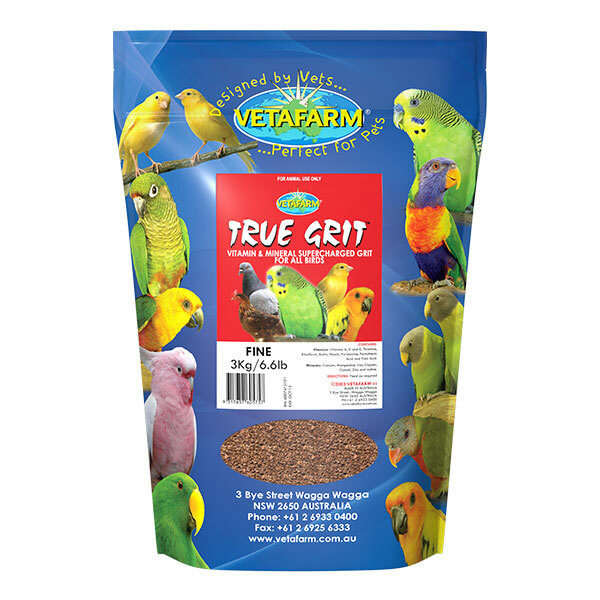 Vegetable Oils, natural organic acids, almond chips, and dehydrated fruit. Vitamins (A, B1, B2, B3, B5, B6, B9, B12, C, D3, E, H & K), minerals (calcium, cobalt, copper, iodine, iron, magnesium, manganese, phosphorus, potassium, selenium, sodium, sulphur & zinc).